DIY is most often associated with wallpapering, replacing doors, hanging curtains, fixing guttering, fitting showers and so on, but for the budding do-it-yourselfer there are plenty of tech projects to attempt building too - from entire computers to much smaller gadgets. With summer approaching we've collected together six projects you can consider - they range from the relatively complex to the relatively simple, but pretty much anyone can give them a go with the right guidance, so we've included some video tutorials as well. Building any kind of PC is a rewarding and educational project that will only occasionally having you ripping out your hair in frustration, but we'd recommend going for a Home Theatre PC or HTPC first - it's smaller, cheaper, and easier to put together. The idea of a HTPC is to run Netflix, Spotify, iTunes and all the rest, without worrying too much about gaming or office work. You'll need a small, slim case and components that are small enough to fit inside - go for low-powered kit that doesn't generate much heat. The web is heaving with guides to building your own PC, whether you've never done it before or are a motherboard-juggling veteran, like the one embedded above from Granworks. You should be able to save yourself some money over buying an off-the-shelf computer, and you'll learn plenty about the ins and outs of computing along the way. You can currently buy all kinds of kit to keep an eye on your home and valuable possessions, but if you're a do-it-yourselfer at heart then it's not to difficult to build your own system, if you know what you're doing. There are actually all kinds of ways to approach this: you could install an app like Manything on a phone or tablet you're not using, which instantly turns the device into a security camera. If you're a bit more ambitious you could use a Raspberry Pi as the basis of your home surveillance network, which gives you more control over how it works. The video above from Paul McWhorter uses a Pi, and although it's more in-depth and longer than a lot of similar tutorials, you do end up with a really comprehensive system for monitoring your home from anywhere, so it's worth the time and effort. If you've so far failed to get your hands on a NES Classic Mini, why not have a go at building your own? You get to choose what games you run on it, and from which systems, and the whole console can be put together for less than you think. Run a web or YouTube search for the system(s) you're interested in and you should find plenty of building and buying advice. The Raspberry Pi is a sensible choice for the brains of the whole operation, though you can use other microcomputers for the job, and if you've got the time and expertise you can really go to town on the design. 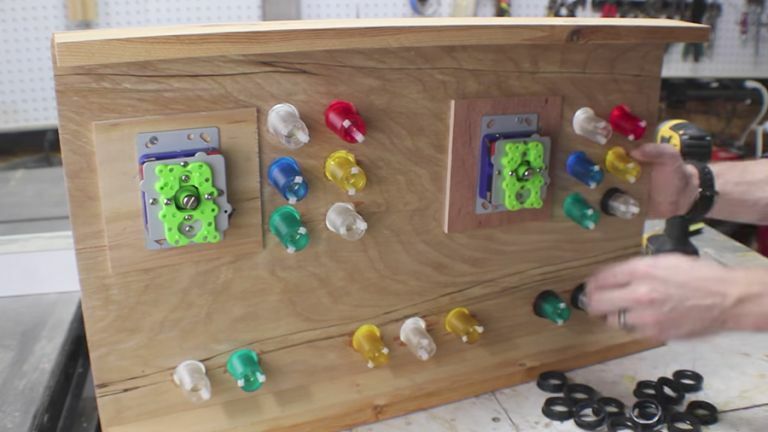 As the above video from I Like To Make Stuff shows, you can even extend it to build a full-sized arcade cabinet, though the costs go up accordingly. This guide from TechRadar is another good place to start. For something a bit quicker and less involved - basically just buying a few bits of kit and connecting them up - you could have a go at putting together a smart lighting system. You won't need much in the way of tools or materials, because most smart lights will work out of the box, but you can have fun playing around with different layouts, timings and colour combinations to get everything looking just right. Then you can impress friends and visitors with your advanced lighting setup all summer long. The video above from The Mad Hermit gives a good overview of the Philips Hue system but there are alternatives you can consider, including kit from LIFX, Ikea, Elgato and Osram. Just make sure you buy lights that are going to work with whatever existing smart home gear you've got, and of course with your mobile phone. If you can't hear your tunes out in the garden or you want to really ramp up the volume indoors, then here's a DIY project you can really get your teeth into, and which will teach you a lot about audio and acoustics at the same time. It's pretty involved, if you're starting from scratch, but we reckon you'll get a lot of satisfaction out of it. As the video from Kirby Meets Audio (above) explains, you've got three routes to pick from: doing everything yourself, following a set of plans, or buying a speaker-building kit. Obviously the amount of effort you need to put in, the amount of money you have to spend, and the sort of skills you require varies between those three options. Just like building your own PC, you get full control over how the speaker looks and sounds, so it's a great option if you're working on a den or a home theatre - and of course the speakers will serve you well for years and years. For something small, relatively simple, but very, very useful, why not build your own portable phone charger powered by regular batteries? A lot of examples on the web stick two AA batteries in a small mint tin, but you can adapt it any way you like. The above video from Roman UrsuHack has racked up more than four million views and takes you step-by-step through the process. You are going to need some electronics know-how to get everything connected and working, but there's nothing particularly difficult in the process. You've then got yourself a unique charger that can give your phone or tablet an extra boost of energy when you're out and about - and of course the capacity and charge is up to you, so make sure it's at a safe level for your device before you plug it in.